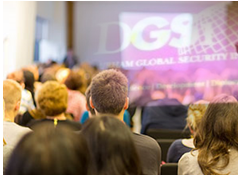 The interdisciplinary character of DGSi is reflected in its management structure. DGSi is hosted by the School of Government and International Affairs (SGIA), and managed in close cooperation with the Anthropology Department and the Law School. Beyond its core disciplines – politics and international relations, social anthropology, and law – DGSi cooperates with academics from a broad range of disciplines, among them history, sociology, urban studies, and geography. It also brings together and promotes exchange between researchers and practitioners working with both governmental and nongovernmental institutions. DGSi Director of MSc Courses: Dr Lena Opfermann ( Durham School of Government & International Affairs).